Can Tho (VNA) - The Mekong Delta city of Can Tho has worked to promote trade and investment cooperation with foreign partners, especially Japan. 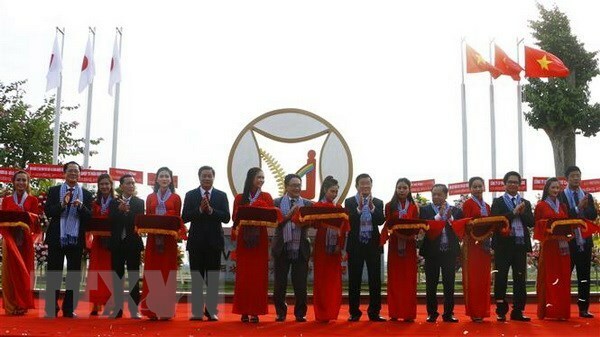 According to Director of the Can Tho Trade, Investment Promotion and Exhibition Centre Tran Khanh Tung, the city has launched Japan Desk, which serves as a bridge between Japanese businesses in the Mekong Delta city of Can Tho and local authorities. Motonori Tsuno, Director of RION company and Chairman of the Japan-Vietnam Friendship Association in Kansai prefecture of Japan, has been invited to be a strategic advisor of the municipal People’s Committee. Can Tho also opened Japan Desk liaison office in Hanoi, Tokyo, and Osaka to promoting its connection with Japanese enterprises, Tung said. Through Japan Desk, a working delegation of Can Tho visited Japan in March, during which the city granted an investment certificate to a joint venture between the Marine Foods Corporation of Japan and Nam Hai Exports Food Stuff Limited (VietFoods Co. Ltd). The joint venture will invest to build a seafood production and processing plant worth 14 million USD in Tra Noc 1 Industrial Park in Can Tho city. The municipal authorities also signed memoranda of understanding with the Japanese side on cooperation in IT personnel and Japanese language training, towards improving the profession and skill for Can Tho’s labourers working in Japan. Can Tho’s leaders held talks with representatives from authorities of Wakayama and Hyogo prefectures, and those from the Japan International Cooperation Agency (JICA) to discuss cooperation in hi-tech agriculture, industry, tourism, logistics, health and education. Tung stressed that the city will continue to work with the Japanese Embassy in Vietnam and other agencies such as JICA, JETRO, the Japan Chamber of Commerce and Industry (JCCI) to further promote investment, trade and tourism bonds between Can Tho and Japan.